Pottery Paintings At Mustard Seed. 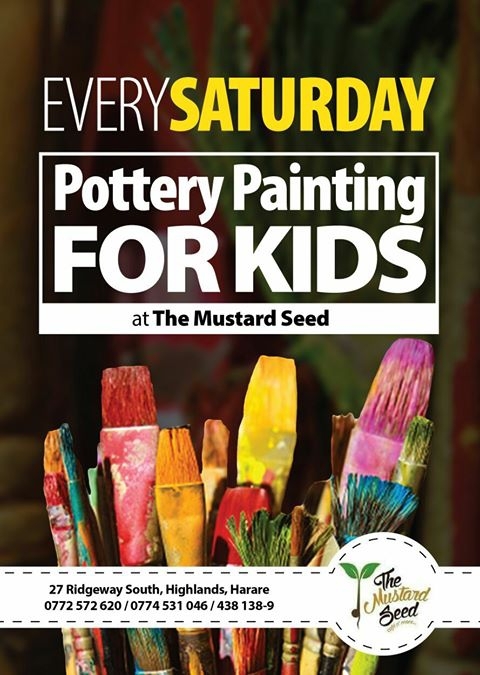 Every Saturday Pottery Paintings for kids at Mustard Seed Restaurant the perfect way to keep them entertained and enjoy a delicious lunch afterwards. ​Please phone (+263 774) 531 046/ 438 138-9 for more information.